Off to Grandma’s for the weekend? 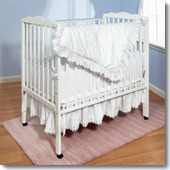 Our portable cribs fold easily, fit into the trunk of your car, and set up in a jiffy to make baby feel right at home! Portable cribs are safe, compact and… Portable! They fit in any room of the house.